SplitFile represents an effective way to convert large files into smaller parts for storage purposes. After having to endure an installation process in Italian, splitting your files is pretty straightforward. You simply select the file to be divided in the main window before specifying how big the individual parts should be. Handily, the software gives you a list of preset file sizes ranging from 1. 44Mb floppy to a 30Gb HD DVD. You also get the option to enter your required size manually. Then, at the mere click of a button SplitFile will go off and break the file up into bite-sized chunks for you. The app comes bundled with a simple batch processing tool for joining up files as well, making it ideal for anyone who wants to chop and recompile files quickly. SplitFile's aim is to split big files into smaller segments in order to store them on floppy disks or CDs. The main feature when compared to other programs like this, is the ability to support very large files( 8 billion Gb in theory) and the ability to increase performance if used with fast disks. 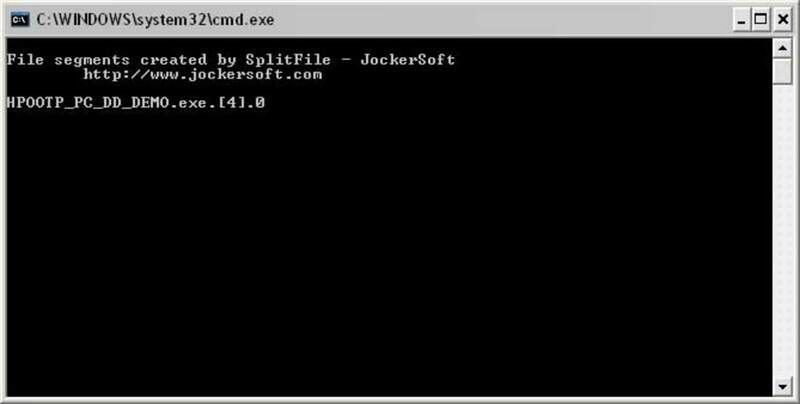 What do you think about Jockersoft SplitFile? Do you recommend it? Why?